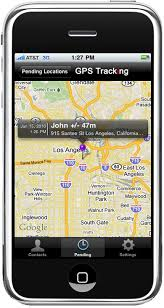 Executive Order Spy Android Client app allows you to use your mobile phone as a GPS tracking device. It reports location and additional information to EOSPY – Executive Order Sensor Processor sYstem at selected time intervals. The EOSPY Android Client app also sends remote ambient light intensity, temperature and humidity information to the EOSPY live map server. Using an internet-connected or mobile cell network connected Android phone, location and environment information are at your fingertips. Remote streaming of additional information is possible like the following: accelerometer, magnetometer, gyroscope, IR temperature, barometer, and equipment status and condition. Monitor buildings, vehicles and people from anywhere in the world. Stay connected and informed to what’s important. Download EOSPY Android Client from the Google App Store. Executive Order Spy Client – The GPS tracking automation and remote monitoring system is a complete package for home or office. Its wireless GPS tracking allows you to monitor your office, systems, personal property and family from anywhere in the world. Receive information from any number of events like when an employee arrives on-site, where a vehicle is located, and even receive remote ambient light intensity, temperature, humidity, and additional information. Please don’t hesitate to Contact Us if you need additional support information. Anti-theft – vehicles / heavy equipment, fleet management, etc. With remote live GPS map tracking information you can monitor and manage your home, office or fleet anywhere, anytime using your internet-connected computer or tablet. EOSPY – Executive Order Sensor Processor sYstem is easily set-up through the user-friendly map tracking interface that allows you to add any number of GPS tracking devices or Android phones. Executive Order Spy provides everything you need to monitor and receive telemetry information in your home or office right now. Setup is fast/easy and EOSPY supports more than 90 GPS communication protocols and more than 800 models of GPS tracking devices from popular GPS vendors. Make your life simpler and more informed with EOSPY. For many commercial business applications, the desire is to use a device for a specific function without the distraction and security threats of an open ecosystem. Custom Android Apps allow your business to harness the powerful capabilities of the Android Operating System and tailor it to your specific needs. These dedicated device solutions can be custom mounted products or off-the-shelf handheld devices or purpose-built devices. The EOSPY – Executive Order Sensor Processor sYstem Client Executive Order Spy Android Client app is an excellent proven, pre-build, platform app that allows you to use a mobile Android device as a GPS tracking device. The EOSPY Android Client app provides a solid platform that your company can build its own custom dedicated app on using an internet-connected or mobile cell network connected Android device for location and environment information. You can visit the Google Store EOSpy at Google Store to download the Free EOSPY Client to your Android Device.